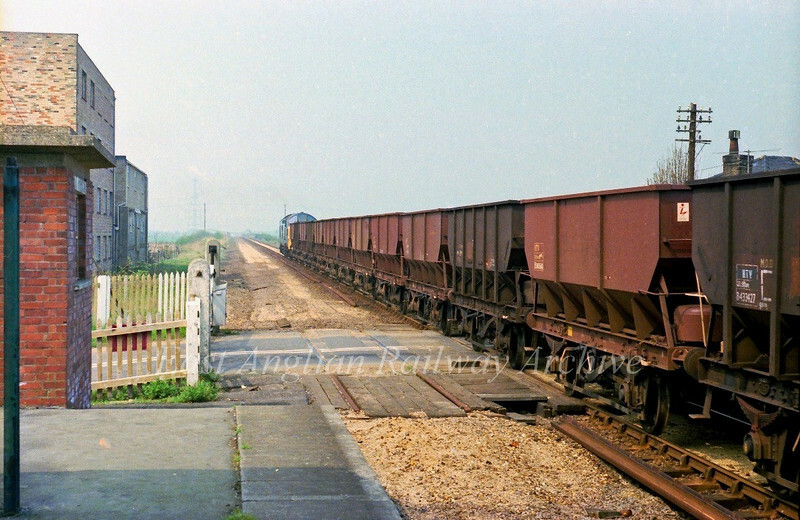 37026 heads a rake of empty sand wagons over the crossing gates at Long Stanton on 24th April 1978. On the Willingham side of the Longstanton crossing was a public house . It closed in the early 70's and was sold ,the estate agents particulars stating the line was closed.The New owners moved in over one weekend,and then were rudely awoken at a very early hour on the Monday morning by the wagon buffers clashing as the empties came to a halt ,before the gates were opened. There then followed the sound of the roar of the 37 getting them moving ,followed by a further dawn chorus of clashing buffers as the train halted the other side of the crossing ,for the gates to be shut .